Stanworth Bridge Winding Hole is a minor waterways place minor waterways place place on the waterways major waterways place village town city on the Leeds and Liverpool Canal (Main Line - Wigan to Leeds) between Withnell Fold Bridge No 88 (Village on East bank) (2 miles and 5¼ furlongs to the west) and Feniscowles Bridge No 93B (7¼ furlongs to the east). 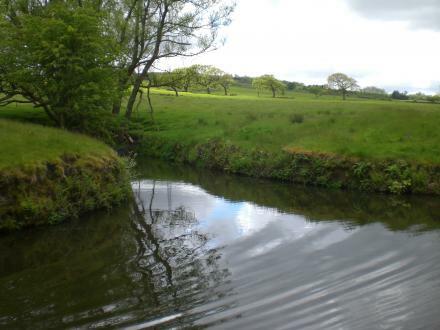 The nearest place in the direction of Withnell Fold Bridge No 88 is Millfield Bridge No 92; 2½ furlongs away. The nearest place in the direction of Feniscowles Bridge No 93B is Stanworth Bridge No 93; ¼ furlongs away. Blackburn Road, Withnell, Chorley, PR6 8BL — 1515 yards to the southwest. 673 Preston Old Road, Blackburn, BB2 5ER — 908 yards to the northeast. Unit 4, 14 hutton Street, Blackburn, BB1 3BY — 1033 yards to the northeast. Livesey Branch Road, Blackburn, BB2 5DQ — 976 yards to the northeast. 1 Langdale Close, Blackburn, BB2 5DS — 1315 yards to the northeast. 726 Preston Old Road, Blackburn, BB2 5EP — 948 yards to the north. 698 Preston Old Rd, Blackburn, BB2 5 — 1062 yards to the northeast. 702 Preston Old Road, Blackburn, BB2 5EP — 1026 yards to the northeast. Immanuel Church Hall, 740 Preston Old Road, Blackburn, BB2 5EN — 823 yards to the north. Pleasington Golf Club and Euxton Park Golf Centre, Blackburn, BB2 5JF — 1589 yards to the north. Blackburn — 1473 yards to the northeast. Blackburn — 1267 yards to the northeast. Woodstock crescent, Blackburn, BB25AZ — 1614 yards to the northeast. 24 Kingsley Close, Blackburn, BB2 5FB — 788 yards to the east. Blackburn — 1301 yards to the northeast. Livesey Branch Road, Blackburn, BB2 5DQ — 1519 yards to the northeast. Victoria Rd, Blackburn, BB2 5 — 1400 yards to the north. 24 Kentmere Drive, Blackburn, BB2 5HF — 1276 yards to the northeast. Bolton Road, Withnell, PR6 8BP — 1307 yards to the southwest. Feniscowles — 884 yards to the northeast. Cherry Tree — 1499 yards to the northeast. Livesey Branch Road, Blackburn, BB2 5DQ — 1518 yards to the northeast. Blackburn — 878 yards to the north. 654 Preston Old Rd, Feniscowles, Blackburn, BB2 5EP — 1157 yards to the northeast. Blackburn — 974 yards to the northeast. 627 livesey branch road Feniscowles, Blackburn, BB2 5DQ — 1053 yards to the northeast. Blackburn, BB2 5HF — 1280 yards to the northeast. 519 Livesey Branch Rd, Blackburn, BB2 5DB — 1632 yards to the northeast. 585 Preston old Rd, Blackburn, BB2 5HD — 1346 yards to the northeast. Blackburn — 1136 yards to the northeast. 10 Kingsley Close, Blackburn, BB25FB — 781 yards to the east. Stockclough Lane, Feniscowles, BB2 5DQ — 912 yards to the east. Stanworth House Farm, Bolton Road Whitnell, Chorley, PR6 8BP — 1308 yards to the southwest. Three Arches Service Station,654 Preston Old Road, Blackburn, BB2 5EP — 1195 yards to the northeast. Livesey Branch Rd, Blackburn, BB25 — 621 yards to the northeast. 49 Beechwood Drive, Blackburn, BB2 5AT — 1455 yards to the northeast. lower whitehalgh barn, Blackburn, BB2 5 — 890 yards to the east. 581-583 Preston Old Rd, Blackburn, BB2 5HD — 1409 yards to the northeast.